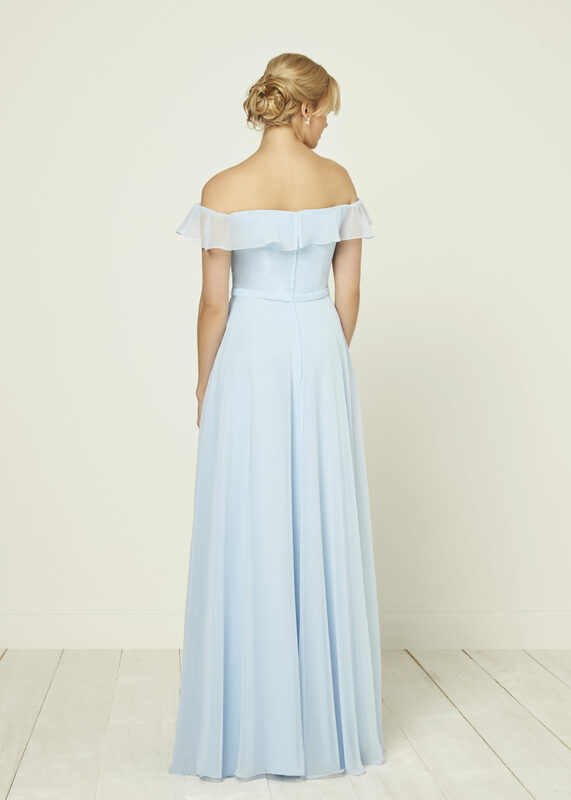 A beautiful a line style with an off the shoulder neckline, frill detail, subtle chiffon belt and finished with a full chiffon skirt. Photographed in Baby Blue. Available in Empress Chiffon colour ways. Zip back. 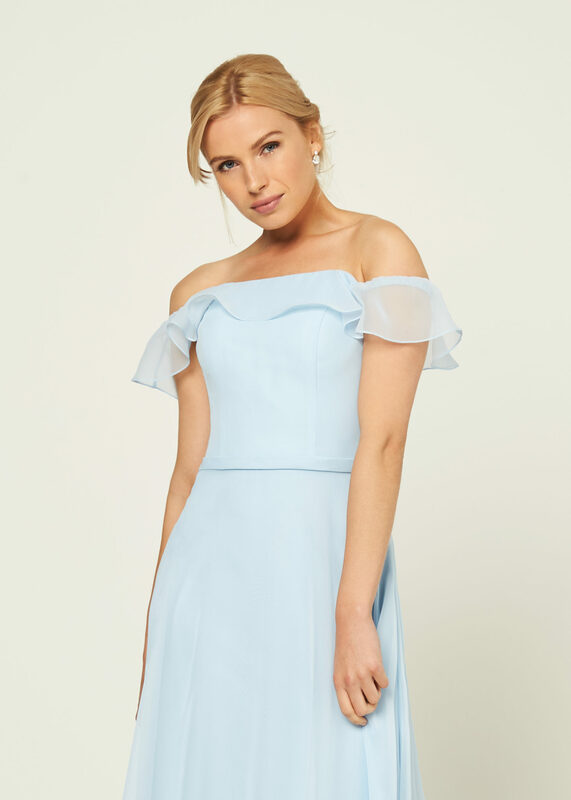 This is a gorgeous style for your maids, the off the shoulder neckline is so flattering and this beautiful blue hue is perfect for a Summer wedding.